I have spent the last few days making grandfather clocks. I realized as I put on the facing for one of the “Ravaging Rio” pages that I had trimmed it wrong, leaving me a little short on floor and baseboard on one page. 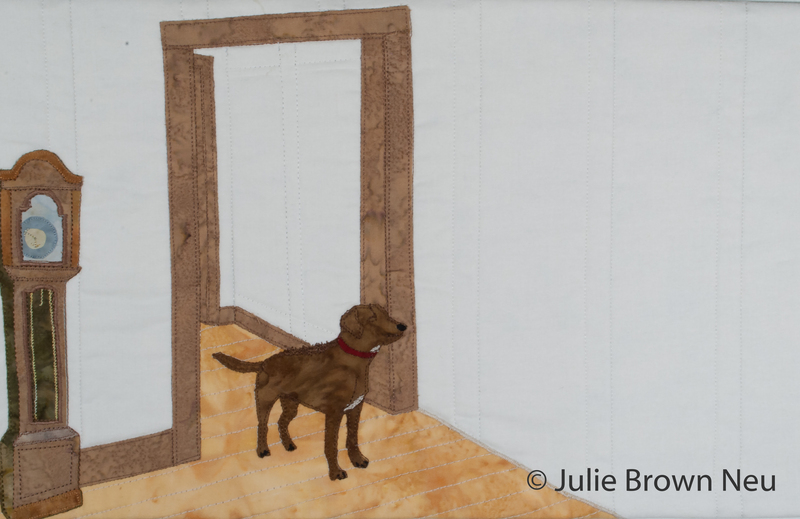 I needed to come up with something to stick on the page to cover up the join when I added new baseboard and floor fabric, but what? Then, I went to visit my parents, noticed my grandparents’ grandfather clock in their house and realized that it would be perfect to include, although a total pain in the . . . to make. And, I had to put it on two pages because there are two pages with basically the same view. So here I am, two clocks later. Can you tell which one has the join? 17″ x 10″ – Rio walks into the living room one afternoon and is instantly cold, the hairs on his back standing up. Without knowing how he knew it, he sensed that there was a ghost in the room. 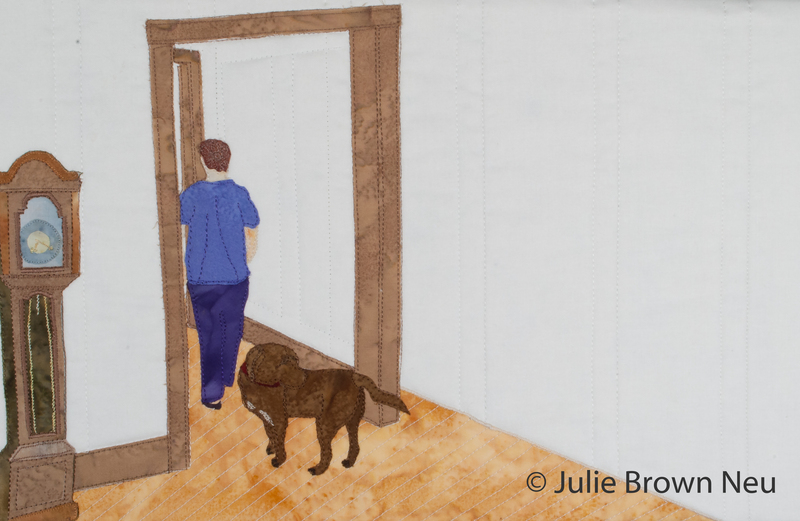 17″ x 10″ – Julie didn’t feel safe either and left the room, but as Rio is leaving with Julie, he hears a cough and turns.